The newspapers are full of stories about how these Jihadies get created. The typical headline reads “The Journey to Extremism,” or “The Radicalization of Mohammed,” or “From Amateur to Slaughter.” The “from-to” structure is apparent as the story always tells a tale of the evolution (or should we say devolution) of the terrorist’s political consciousness and radicalization. The fact is that we know quite a bit about this process. Terrorism has been the subject of study for some time with an accepted enough definition regarding the use of violence against noncombatants for the purpose of political goals. The problem is that the distinction between combatants and noncombatants has been getting fuzzier for some years. The US killed lots of innocent people during the bombing of Serbia and even during World War II. The Western, and shall we say more developed world, continues to be chagrined at the creation and presence of terrorists because our first reaction is that they must be psychologically damaged or “crazy.” But we have known for some time that psychopathologies are no more likely among terrorist than non-terrorists. In fact, if terrorists were truly crazy and psychopathological it would be easier to track them and prevent their destructive ways. So, how does it happen? Does a terrorist just decide one day to be a terrorist? First, from the work of Horowitz and McCauley we know that terrorists kill for a combination of ideology and group dynamics. They are attached to a cause that is worth dying for but more importantly the cause and the ideology are seen as greater than the individual even leading perhaps to immortality. The most normal person believes in something greater than himself (a religious group, a political party, the social ideology). Secondly, the group dynamics become even more important as death or violence becomes nearer because the group membership gives it meaning. The group becomes the same as a family or culture allowing members to embrace its values. And any set of important values will do. The common refrain is that religion accounts for so much death but secular ideology (Maoists, Shining Path, Red Brigade, Baader Meinhof, communism, Stalinism) accounts for and justifies more death than religion. Although these secular ideologies have met their match in jihadist Islam. Third, there are few conditions more potent than a collection of highly focused intense like-minded people who reinforce one another. We all belong to lots of groups but when one group becomes dominant and foregrounded in our consciousness with respect to identity the group becomes particularly powerful. Other members of the group become like family with intense interpersonal commitments fueled by a belief in a just cause. The psychology of extremist behavior is normal psychology but just intensified. How do we handle the French terrorists or the Boston Marathon bombers? Are they criminals engaged in illegal activity in which we must provide evidence of illegal behavior, or is this a war? For starters, describing something as a war moves it away from individual responsibility toward group responsibility. But this just feeds into terrorist goals which are to convince you that their individual behavior represents the will of large groups. It is true enough that we should always examine foreign policy to see how we might be contributing to discontent, but this is certainly no excuse for the typical violence associated with terrorism. When we call for a “war” on the terrorists we are using language that justifies broader military operations and of course different legal implications. It is time to move beyond simple questions about where these terrorists come from and how they are created. We know a lot about the development of violent behavior and under the right conditions most people are capable of it. We need, instead, a concerted effort to understand how we might defuse these conditions. This would include a more systematic defense of liberal values by Western leaders as well as efforts by group leaders (e.g. 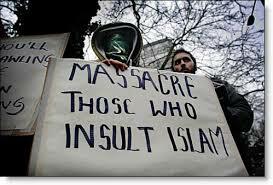 mainstream Muslims) to direct grievances away from violence. Posted on January 19, 2015, in Political Conflict and tagged Terrorism. Bookmark the permalink. Comments Off on How to Create a Terrorist – Criminal Justice or War.